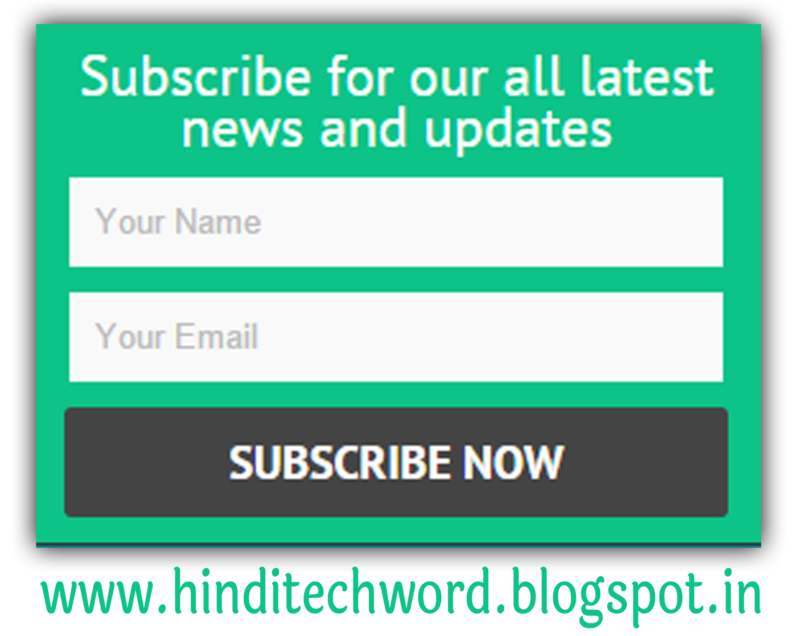 How to add E-mail Subscription Widget in blogger. Hello Friends, Hindi Tech Word में आपका बहुत-बहुत स्वागत है ! 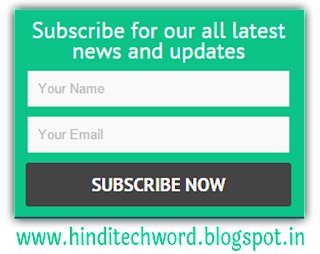 मेरा नाम है समीर अली और आज की इस आर्टिकल में हम आपको बताने वाले E-mail Subscription Widget के बारे में की कैसे हम अपने ब्लॉग sidebar में E-mail Widget लगा सकते है ! वो भी सिर्फ 2 Step में. You can use this widget below of every post. This subscribe box widget is created with simple css with colorful background. In this email subscription widget visitors are able write their name. The name box make this widget more professional. In this widget you can change subscribe box heading. Default heading is: "Subscribe for our all latest news and updates". And finally don't forget to share our posts with your friends. Thanks.